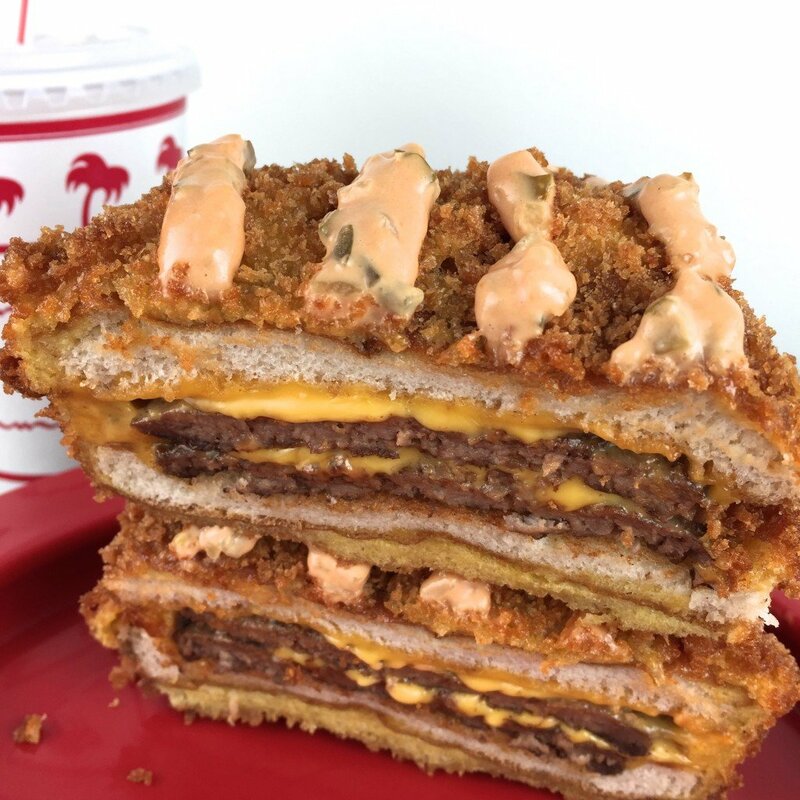 Did we fry an In-N-Out Burger? Last week the Internet exploded when food blogger, PeepMyEats, deep fried a McDonald’s Big Mac. I thought, “Great idea, but who wants to eat McDonald’s? 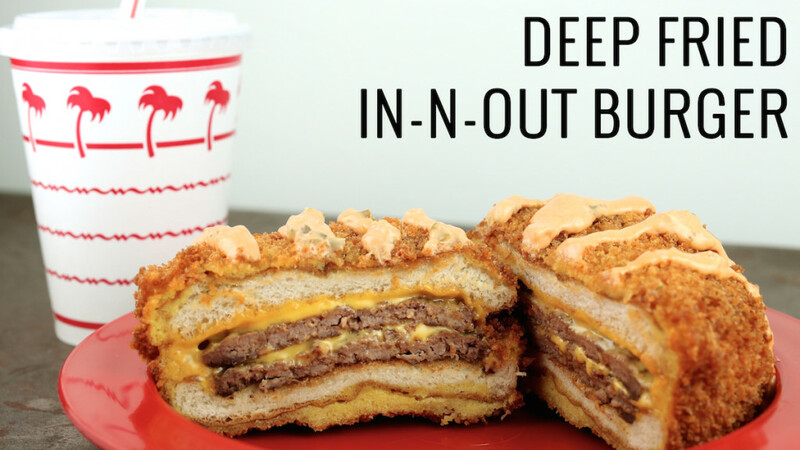 ?” Then I had the single greatest idea I’ve ever had: “What if I fried a double double from In-N-Out?” Janette and I immediately decided to find out. I was a little skeptical at first, but the panko fried up beautifully and the cheese inside somehow became even more melty and delicious than before! 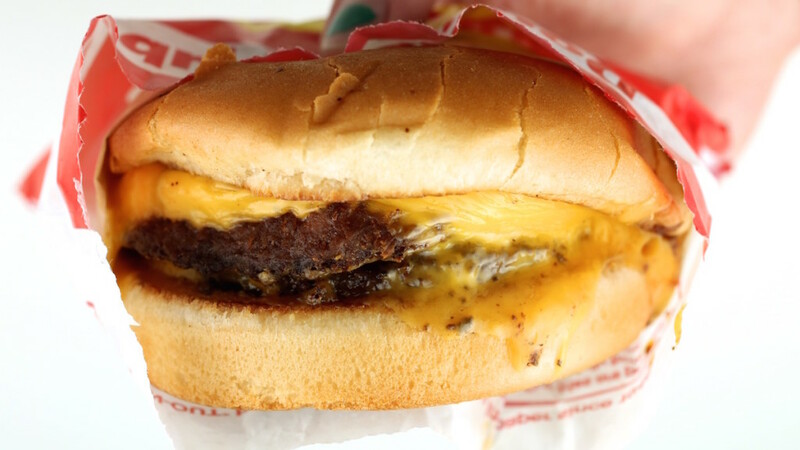 10/10 Would fry an In-N-Out Burger again. Crack the two eggs into a bowl large enough to dip your burger in, then whisk. Fill another bowl with Panko. Heat up the oil in your deep fryer (I used this one). Take that delicious double double and dip it in the egg, making sure it is evenly coated. Now dip & coat with the Panko. Repeat. Drop the burger into your deep fryer and fry until golden brown. when u order a burger from in n out, did u ask for no vegetables, no lettuce, and no tomato? Yes, we got the burger with meat and cheese only. You could get it loaded, but I didn’t like the sound of the veggies in there. Grilled onions cooked down in the collected meat juices on the hot griddle can be added to any sandwich, and come standard if you ask for your burger or fries Animal Style.